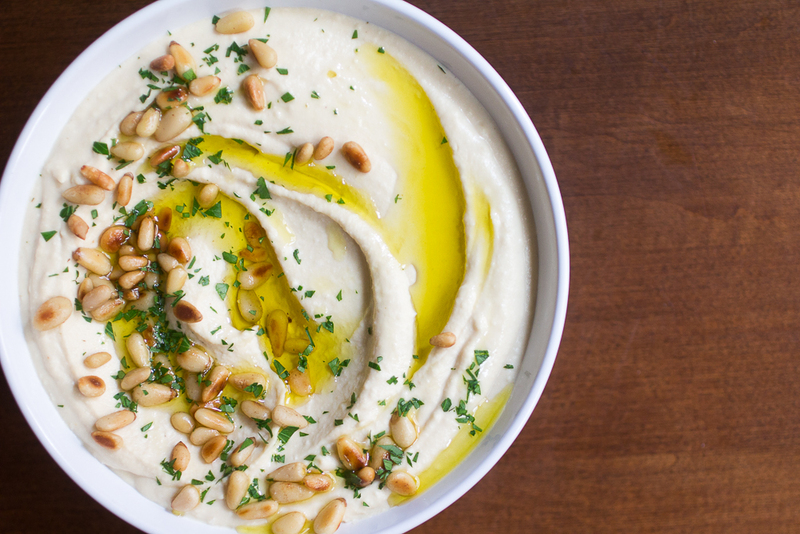 There’s no doubt about it; hummus is yummus. The fact that it’s actually good for you is just an added bonus. Has anyone ever heard the phrase “hummus is just a fat girl’s diet food?”. It’s a real bummer of a phrase, and it stuck with me for years. Every time I would reach for hummus at the grocery store, those words would ring in my head, “Don’t eat that! It’s fake healthy!”. Sure, there is some truth behind this expression. Hummus isn’t exactly a low-cal food, and when you pair it with chips and pita, the calories add up pretty quickly. But like avocado, those calories are packed with vitamins and nutrients. Not to mention it’s high in fiber and protein, which promotes healthy digestion (score!) and keeps you feeling full and satisfied. That’s all I need to hear for a check ++ in my book. My hummus is inspired by Yotam Ottolenghi‘s recipe from his cookbook Jerusalem. After doing my research, I decided to cut the amount of sesame paste by more than half and amp up the lemon juice. My version was not only incredibly smooth, but also conveniently lower in fat. I also veered away from traditional hummus with the addition of one tablespoon of good quality olive oil, which can easily be omitted. I believe the olive oil really rounds out the flavors and brings it all together, but drizzling on top will probably do the trick as well (I’m just stubborn). Place the chickpeas in a large bowl or quart container and cover with cold water a little more than twice their volume. (If using a quart, fill to the top). Let the chickpeas soak for at least 24 hours or until they have doubled in volume. Drain the chickpeas. In a medium saucepan, combine the chickpeas with a teaspoon of baking soda. Stir constantly for about 3 minutes. This helps loosen the skin. Add 6½ cups of water and bring to a boil. The chickpeas are cooked when they are soft and break easily, but are not mushy. Drain the chickpeas and rinse until cold water. Place the chickpeas in the bowl of your food processor and process until it forms a paste. With the machine still on, add the garlic and puree until smooth. Then add the lemon juice, followed by the tahini paste and salt. Then slowly add the ice water one tablespoon at a time. Process for several minutes more until it has form a silky smooth paste. Add the olive oil and pulse gently until just combined. 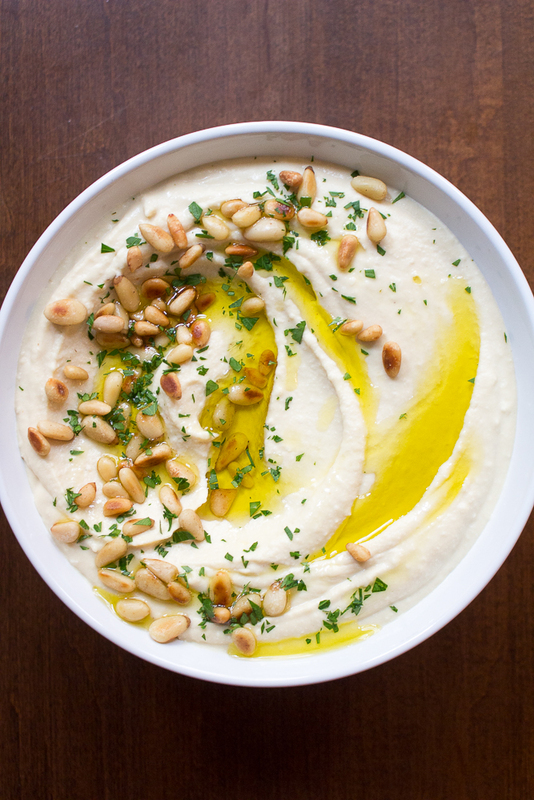 Transfer to a bowl and press plastic wrap onto the surface of the hummus to prevent drying. Let it rest for 30 minutes before serving. If not using immediately, refrigerate for up to 3-5 days. Let rest for 30 minutes room temperature before serving. Sources: Jacques, Renee. 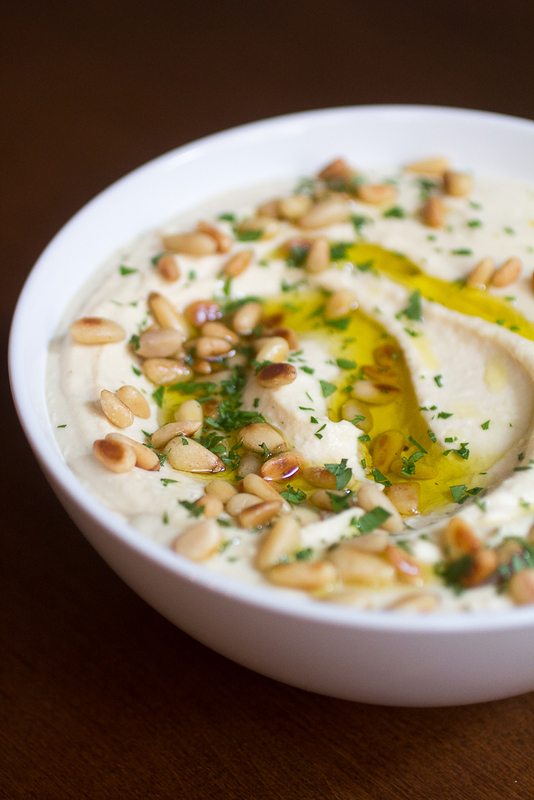 “10 Reasons Why We Should All Be Eating More Hummus.” The Huffington Post. TheHuffingtonPost.com, 26 Feb. 2014. Web. 03 Aug. 2016. Corleone, Jill, RDN, LD. 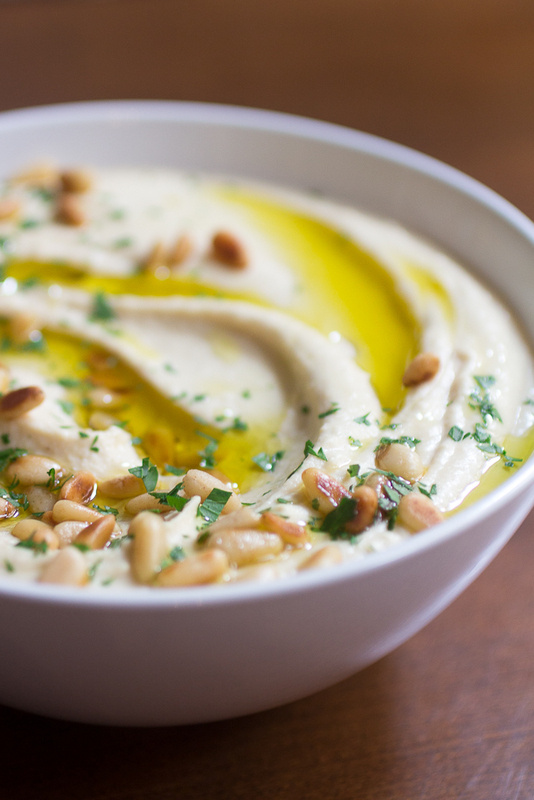 “Nutritional Value of Hummus.” LIVESTRONG.COM. LIVESTRONG.COM, 16 Jan. 2014. Web. 03 Aug. 2016.